It is completely impossible to stop Windows 10 updates installation process because it executed in the background. In order to download Windows 10 updates automatically you need to set your connection as “metered”. Sometimes Windows 10 updates can affect the entire Windows system, it happens because of incompatibility. 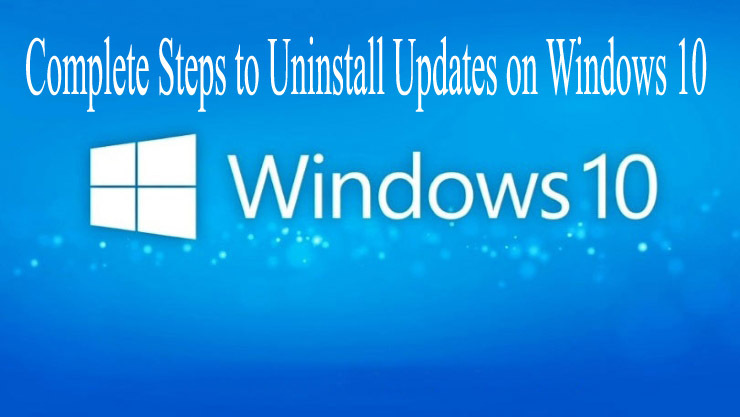 If you are suffering from any issues just after installing windows 10 update then apply the below given steps to easily uninstall a Windows 10 update. Windows has mainly two types of updates, first is major updates or builds and second is minor updates. Step 4: Through this you will uninstall the latest major update from your system.